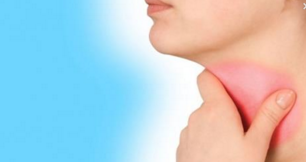 DID YOU KNOW THAT THROAT TOO NEEDS TO BE KEPT HEALTHY? Home » Meditation » Symptom » DID YOU KNOW THAT THROAT TOO NEEDS TO BE KEPT HEALTHY? Many of us rarely care about our throat unless it feels scratchy, dry and tight or starts to hurt when we swallow. We tend to forget that like the rest of our body, our throat needs care too. It can harbor germs and bacteria from the food and other materials that may have stuck in it after brushing. So, before brushing your teeth in the morning, mix a teaspoon of salt in a cup of hot water and soak your toothbrush in it. The salty concentration will dehydrate bacterial cells, hindering bacteria from growing. To Hygiene Basic hygiene practices, such as washing hands before eating and not sharing eating utensils and other personal items, can go a long way in preventing sore throat. It keeps viral or bacterial throat problems from spreading to others. Stretching cold muscles can result to injury. The same is true with your throat. So, if you are a singer, actor, speaker, teacher, or doctor and the like, do some vocal warm ups every morning to condition your vocal chords. Yawning, creating a buzzing sound, or humming slow, gentle tones will do the trick..